The Notifier SD-651E Smoke Detector is now unavailable for the UK market as it has been superseeded by the Notifier SD-851E Optical Smoke Detector. The Notifier SD-851E uses the same base as the SD-651E and can be used as a like for like replacement. The Notifier SD-851E Detector is part of the Notifier 800 Series Detector range. It is manufactured in the European Union and is suitable for use on BS5839 compliant fire alarm systems. The detector is a conventional type and features an integral LED which illuminates when the device has been activated. 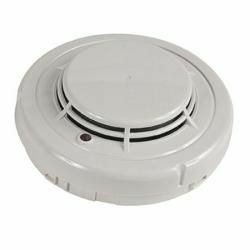 If you’re interested in the Notifier SD-851E Smoke Detector you may also be interested in our Notifier Fire Alarm Systems and Fire Alarm Testing equipment ranges.